Back in stock, after an absurdly long delay. Our authentically styled British Pith Helmet in Khaki. 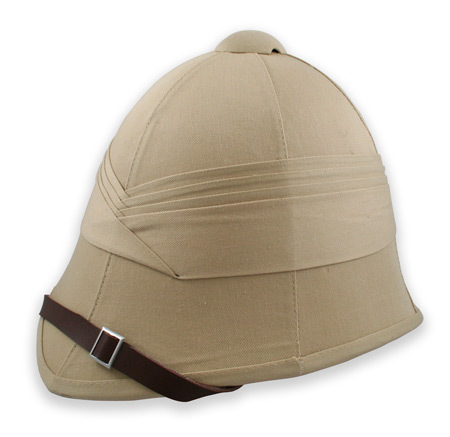 Ideal for costuming and re-enactments, but undeniably useful in hot weather locations for everyday use. Much cooler than any old baseball cap.